One of the most respected event production companies in Israel, Cohen-Gershkovits Productions is the culmination of decades of experience planning events in Israel by partners Yaniv Cohen and Ruben Gershkovits. Every Cohen-Gershkovits client gets personal attention and professional guidance from the minute the planning starts through the end of the celebration and benefits from the companies network of relationships with suppliers, venues, entertainment professionals and more. From large conferences and corporate launch parties to intimate Gala’s, social mixers and everything in between, Cohen-Gershkovits can take care of the planning and execution from start to finish and produce an event according to the character of the client. Ensuring that the entire event, from entertainment to refreshments, has the maximum appeal to the target audience. 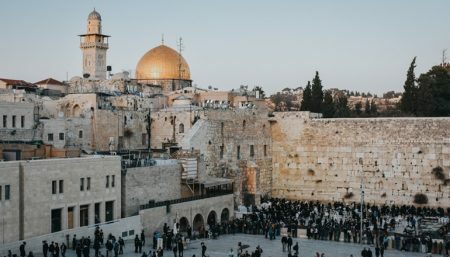 Are you considering Jerusalem as your conference destination? Get full-service conference planning services from Cohen-Gershkovits Conference Production & Planning!